How does it feel living with despair in a city where dreams perish easily? "It is always darkest before the dawn", at least that's what they said. Little did they know that change was coming—it was just a matter of when. 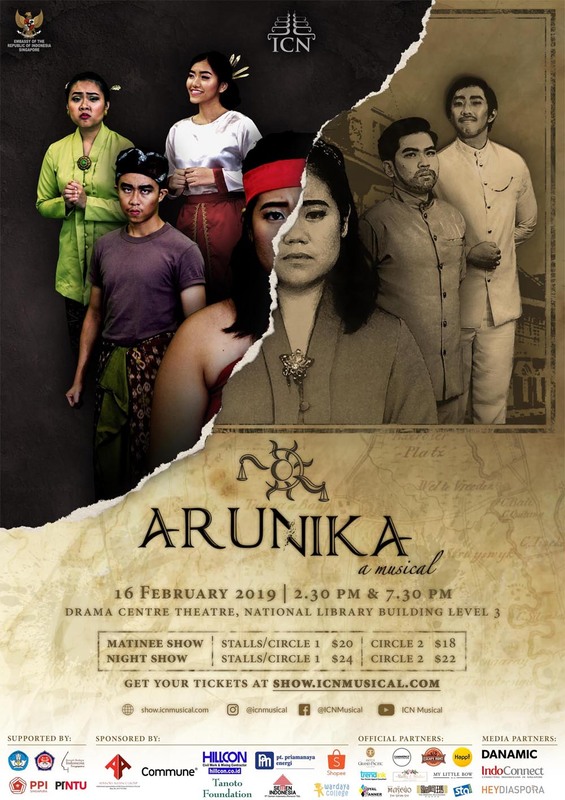 Inspired by one of the darkest untold stories in Indonesian history, ICN Cultural Production proudly presents Arunika; a musical depicting the era when slavery was widespread throughout the continent. The struggle to live in this era laid a desire to rebel in the hearts of the wronged. The tales of the injustice and inequality began in Batavia as the capital of the trading giant: the Dutch East Indies Company. The strict colonial system and prominent practice of slave trafficking at that time have rapidly transfigured Batavia from "The Jewel of Asia" to "The Slaves City". This show will probe into the Indonesia, following the journey of a Dutch-Indonesian girl searching for a place to belong amidst the chaos and calamity that shrouded the city. She was forced with no choice but to choose either to forgive and move on, or let hatred stream into her veins and rebel against this vicious system. Let us be the witness of this historical musical drama brought to life for one night at the Drama Centre Theatre, Singapore. With original songs, music and dances embodying the rebels' burning spirit and the chilling atmosphere of colonial Batavia, the musical is bound to be an immersive cultural experience and unforgettable entertainment.